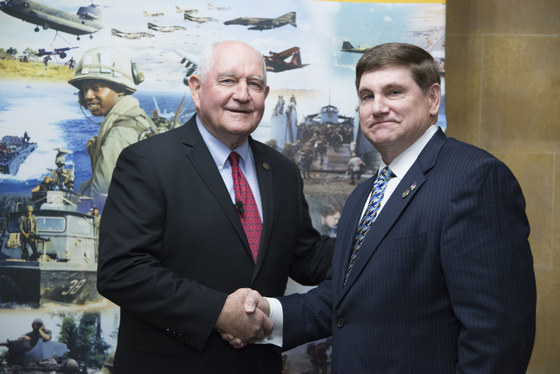 Secretary Perdue receives a Vietnam Veteran lapel pin from Larry Brom of the Vietnam War Commemoration at a USDA Veterans Day event. View the entire Flickr album of the event: https://www.flickr.com/gp/usdagov/j2124q. Photo by Tomasina Brown.